If you’re like most guys, you need a wallet that you can carry in your jeans or jacket. Fortunately, there are a number of styles, such as billfold and accordion, from which you can choose. A typical wallet carries money, debit/credit cards, your driver’s license, some business cards, etc. Depending on your needs, you can have a slim wallet, a heavy-duty wallet, or anything in between. It can feature a pocket or money clip and be of any color and material. 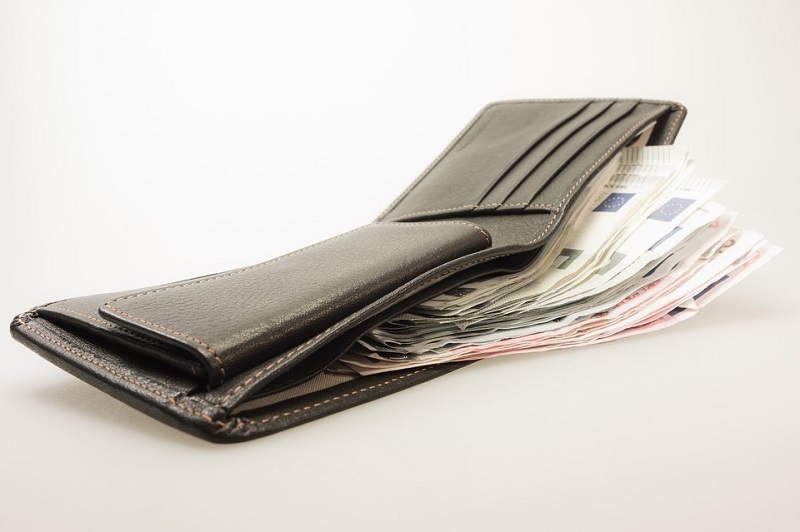 The most common men’s wallets are brown or black bi-fold leather or synthetic wallets, which can be found on various online stores. When looking for men’s wallets for various environments, there are a number of materials from which you can select. They range from natural to synthetic. Needless to say, leather is the most common because of its sturdiness and form factor. While most manufacturers use cow leather to make men’s wallets, some use other types including sheepskin, snakeskin, crocodile leather, and alligator leather to make premium wallets. Fabric such as cotton or silk is also used in some cases. The alternative to the above is synthetic material such as nylon, plastic polymers, polyester, felt, silicone, etc. Another emerging trend is found materials, which include random materials such as old seatbelts, mailing containers, and recycled tires. If you’re interested in protecting your credit cards that use Radio Frequency Identification (RFID) chips, you can go for the specialty aluminum wallets with hard cases. These wallets keep radio waves away from cards that have RFID chips, typically used to tap to pay at designated checkout terminals. These cards are known to release personal information when hit with radio waves, a serious security concern. The wallet type and the material used to make it will determine its price. Use review sites such as walletisland.com to find high-quality, affordable wallets. Materials such as alligator leather, which are rare and take time and craftsmanship to process, are more expensive than those made from common materials. On the lower end of the price spectrum are men’s wallets made of nylon/polyester, plastics and found materials. Men’s wallets are available in various designs. Some men don’t mind carrying a lot of cash, whereas some prefer to carry as little cash as possible and instead carry cards. Your preference will influence the type of wallet you should get. The bi-fold and tri-fold wallets are as standard as it gets when it comes to men’s wallets. The bi-fold is by far the most common. It is folded once, with the primary pouch being used to vertically hold bills and the sides used for holding cards and other items horizontally. The tri-fold opens up like a brochure, with slots for cards lining up vertically. They’re usually bulkier than the bi-fold. Other types of wallets include the slightly larger passport wallet which can accommodate travel documents, the slim wallet for holding only a few cards and cash, the long wallet, which holds money without folding bills, and the accordion wallet, which is meant to carry a number of items. Richard S. Bell is the founder and leading writer of his own men’s fashion blogs, which is aimed at giving advice non luxury men’s style. The topics he has written on include identifying the right wallet through review sites.